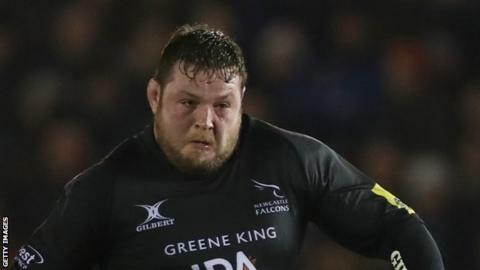 Newcastle Falcons came from behind to beat French Top 14 side Bordeaux Begles and move top of Pool One in the European Challenge Cup. Marco Tauleigne's try helped put the hosts 10-0 ahead but Ryan Burrows touched down for Newcastle. Sebastien Taofifenua gave Bordeaux a 17-7 lead at the break but Toby Flood scored Falcons' second converted try. Hickey's second penalty gave Bordeaux a six-point cushion before Jon Welsh went over and Flood added the vital extras.